"En" means Grace. A pictorial-grammatical image of the "heart' forms the basis of many Chinese characters connected with the spirit, including en or 'grace". Calligraphy in Printing style is done by our well-known artist. 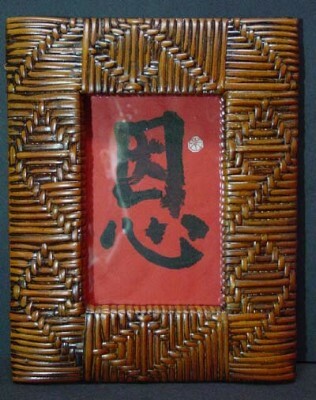 Mounted in beautiful oriental style Rattan frame. Image Size: 5" x 3", Frame Size: 9.5" x 7.5"